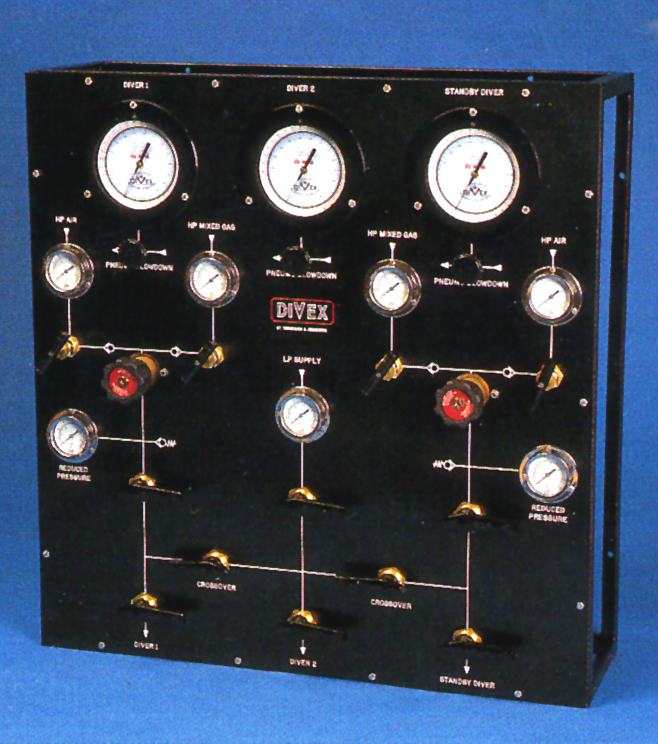 The Divex standby air/mixed gas panel supports two air/mixed gas divers as well as a standby diver on a totally separate gas supply and distribution circuit. The very high flow HP regulators ensure adequate gas flows at the maximum operating depth of the panel. Depth monitoring is via three 6” diameter 0-100 msw/350fsw 0-25% accurate depth gauges.